Welcome to DOW's website ! It seems that your browser does not support iframes! 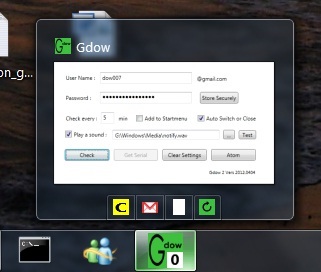 Gdow 2 is a free Gmail notifier with shareware "on the fly" inbox management capabilities. 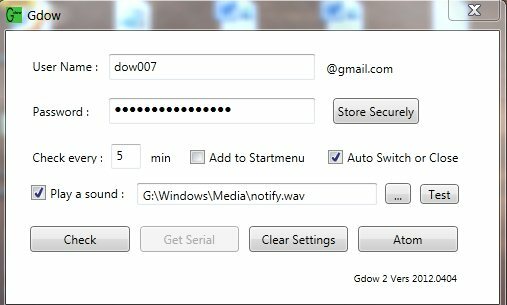 Gdow 2 uses atom feed parsing for notification and simplified Gdow 2007 engine to connect and interact with Gmail account. For now interaction includes basic "on the fly" actions : delete, spam and "mark as read". - the active windows stay now active when the notifying panel comes up.